We’re going to create a new View that only includes data for visitors that aren’t us or our cohorts. When should you think about doing this? Right now! Filters only apply to data from the day they are created forward. They cannot be applied to historical data. To start, log in to Google Analytics and click on the Admin button in the orange bar at the top right. You should see something like the screen below. Click on Admin in the upper right area of the orange nav bar again and select “Filters” under the new view you created. On the next screen click the “New Filter” button and you’ll see the screen below. I’ve added the data to filter visits from Concord Web Solutions. Click save, and you’re done. Chances are good that you will need to add multiple filters to get a true picture of your external site visits. In most cases, the best way to filter is by IP address. At Concord Web Solutions, we have a static IP address (one that never changes) and many office networks have them as well. Check with your IT person to find out if your address is static, or read on about dynamic addresses. If any of the staff access the website from home, you can add filters for those IP addresses to this same View. Just go back to Filters “+New Filter” and add “Jim Home” or whatever is appropriate. Home internet connections often don’t have static IP addresses, but with services like Comcast, the IP addresses rarely change. You can quickly find your own IP address simply by Googling “what’s my ip” from whichever computer you want to filter. Remember to check back from time to time, especially if you have a power outage or other interruption in service that could trigger a change in IP address. Another heads up is that mobile devices don’t use IP addresses so this method won’t work for them. If your staff or helpers access the site heavily from mobile devices, you may wish to contact a Google Analytics consultant about helping filter those visits as well. Keep these filters in mind if you hire a consultant who will be making lots of visits to your site. Filtering out their visits, and your own, will give you a clean set of data and a much clearer picture of how your “real” web site visitors interact with your site so that you can make more informed decisions about your online marketing. One last note: When you log back in to Google Analytics after setting up a new View, make sure to select the new View from the dropdown menu in the upper left corner of the orange nav bar. 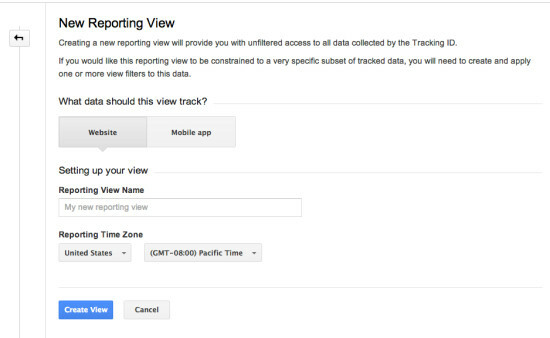 Note: Originally published in August 2012, this post was updated in January 2014 to reflect changes in the Google Analytics interface. Hey still fairly new to analytics and was wanting to do exactly this so thanks for the advice. My other thought was to set up a campaign (maybe called staff) and then ensure they access the site via the predetermined url (eg mysite.com?utm_campaign=staff) they can access it from any device or location and only need to remember to type ?utm_campaign=staff after the address (or save it in favorites) . Would this method work as well or would it screw the other analytic results too much? The site visits would still be recorded with this method so it would skew your results for overall traffic, sources, etc. And I don’t know about you, but I don’t think I’d remember to use a “special” URL to visit a website. Filtering by IP is still the best way I know of, even though it does have its limitations. Thanks for this post Vicki! It was so easy to understand and exactly what I needed to get the job done quickly. 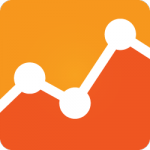 It’s so refreshing to read about SEO/Google Analytics in a way that is clear and concise! Glad you found it helpful, Colette! Just what I want to do, and so clearly explained. It will add your GA code to all pages and give you the option not to track handpicked users or roles. Guillermo, your paid plugin does allow for exclusion of users by name, but for those who don’t need that level of detail, the free Google Analytics by Yoast plugin will let you exclude visitors by roles. These plugins are of course specific to WordPress, so if the site is not built on that platform, filtering by IP address is another option.